ensure you are exercising safely and correctly. Please click here to view our Terms & Conditions for attending our Fitness courses. The discipline of Hatha Yoga aims at the release of tensions and stress in the body through the physical approach of its postures called asanas. The distinctive method of classical Hatha is the way asanas are performed, slowly and mindfully. The mind is helped to create a "feel" for the body through the intuitive performance of the asanas. The body responds by becoming stronger and more flexible, releasing the resistance established by the lack of practice and old habits. This is a flowing Hatha Yoga with a blend of traditional postures fused in a contemporary style, which aims to leave you feeling refreshed, stronger, invigorated and balanced. Suitable for beginners as well as more advanced students. Iyengar is mainly responsible for bringing yoga to the West. The Iyengar style of yoga is probably the most widely practised form of yoga in Europe and America. It helps individuals to make progress according to their own abilities, and is a methodical, progressive inclusive approach, emphasising detailed correctness and absolute safety. Iyengar Yoga is considered a powerful tool to relieve the stresses of modern-day life which in turn can help promote total physical and spiritual well-being. Yoga for Teenagers can help with both physical and emotional health, sharpen focus and improve attention span, whilst engaging in a healthy and enjoyable activity. The teens explore traditional hatha yoga postures, breathing techniques and relaxation, all of which aid in relieving stress from academic pressures. The peacefulness acquired from yoga practice can help manage mood swings and self-image problems. Yoga is also a perfect choice for teenagers looking to take up a new activity as their skill for their Duke of Edinburgh Award. 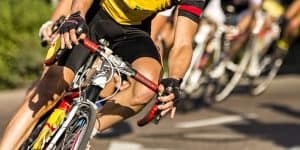 Repetitive, high intensity activities such as running, cycling or weight training can often create tension and misalignment in the body, such as hunched shoulders, tight hips, over-developed quadriceps, knee pain and shortened hamstrings. This is where yoga, with its focus on flexibility, coordination and balance, can be an extremely beneficial addition. The aim of this class is learning how to stretch safely and effectively, whilst building strength, mobility and balance, in order to reduce the likelihood of injury, decrease recovery time and improve performance. Come and unwind. In the busyness of daily life, practise and discover just how supported rest can restore and rebalance your vitality and bring a sense of peace. Using bolsters, blankets and props you’ll be gently held in comfortable adapted yoga positions, mostly lying down. Gentle movement accompanies supported rest in adapted yoga positions using props to enable your body to release and open. The guided relaxation of Yoga Nidra that follows will soothe and work deeply to lift the effects of pressure and exertion. Ideal for everyone who feels out of balance, healing from illnesses, have busy racing minds and cannot switch off, and those who wish to cultivate peace and happiness. The original Barre Work class. Combines elements from modern and classical dance, yoga and ballet exercises into a highly sensual and satisfying fitness system. It will firm, lengthen and shape muscles to their optimal form. The core stomach muscles get stronger, supporting your spine, flattening your stomach and improving your posture. Your bottom will lift and your thighs will get trimmer. The exercises will give a lean, supple and toned look to your body, rather than a muscular bulky look. The results will look and feel fabulous! 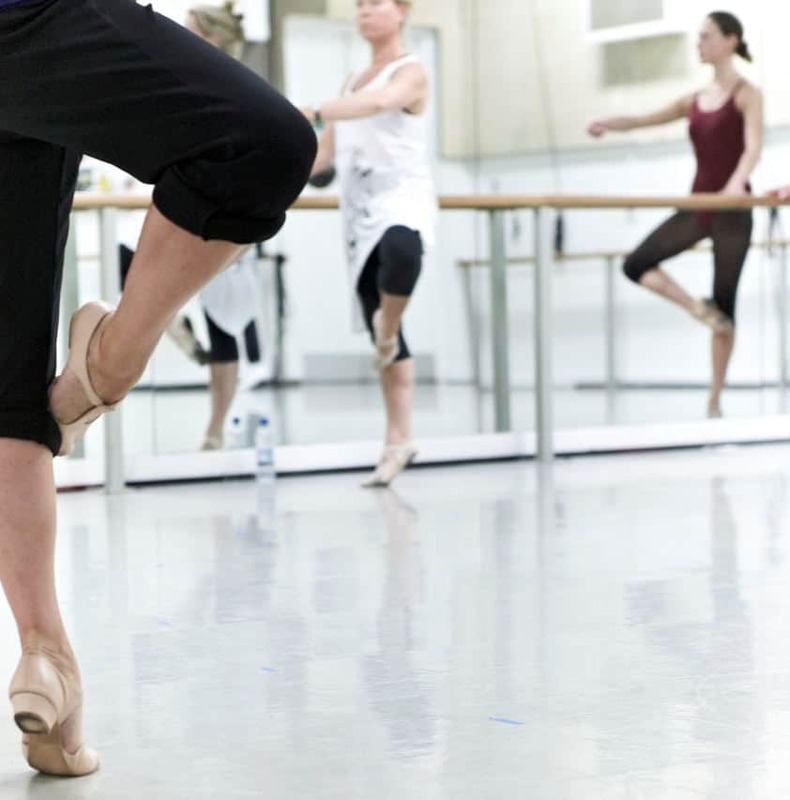 Class will start with a gentle warm up before preceding to simple ballet barre exercises. Movements will include pliés, battement tendu, rond de jambe, port de bras, développé, grand battement and relevé. Chris will carefully guide the you through these ballet exercises and will build upon these basics. You will then be encouraged to try some basic ballet exercise without the barre in order to gain further spatial awareness, core stability, and a sense of freedom by dancing to the lovely music. You do not need any previous dance experience to join this class and it is suitable for all ages, shapes and fitness levels. Ballet is fun way to get fit, increase flexibility, hone mental acuity, and strengthen and elongate your muscles whilst developing grace, musicality, and poise. We look forward to welcoming you to the Barre soon! Tai Chi is an ancient Chinese tradition that, today, is practiced as a graceful form of exercise. Originally developed as a martial art in China, today it is practiced around the world as a perfect wellbeing exercise suitable for all fitness levels. Tai Chi is low impact and puts minimal stress on muscles and joints, making it safe for all ages and fitness levels. In fact, because Tai Chi is a low impact exercise, it may be especially suitable if you're an older adult who otherwise may not exercise much. Several studies have shown that Tai Chi improves flexibility, muscular strength, fitness levels, help relieves pain and can improve quality of life. Improved flexibility not only reduces stiffness in the body, but also helps the body to pump blood to muscles and nerves. Muscle strength is important to support and protect the joints and fitness is important for overall functioning of the heart, lungs, and muscles. 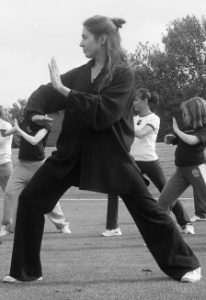 In addition to these components, Tai Chi movements emphasise weight transference to improve balance and prevent falls. 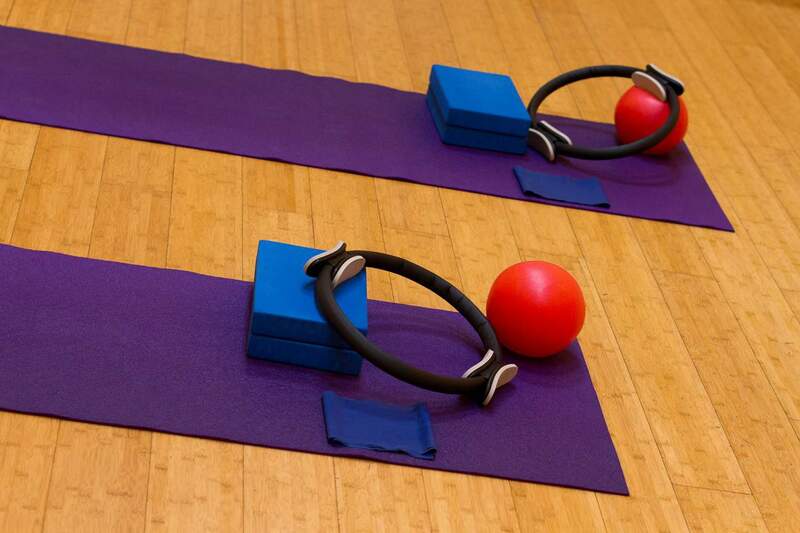 This foundation course teaches the basic principles you need to fully benefit from Pilates. You’ll learn to engage your deep core muscles, whilst getting a full body workout which will tone and strengthen your physique. For those who have already done a bit of Pilates and understand the basic principles of Pilates. Focusing on improving flexibility and strength for a complete body workout. A series of controlled movements engaging body and mind, to encourage you to experience a new awareness of muscle function and control. PureStretch was devised with the simple aim of getting people moving and more flexible in a fun way. 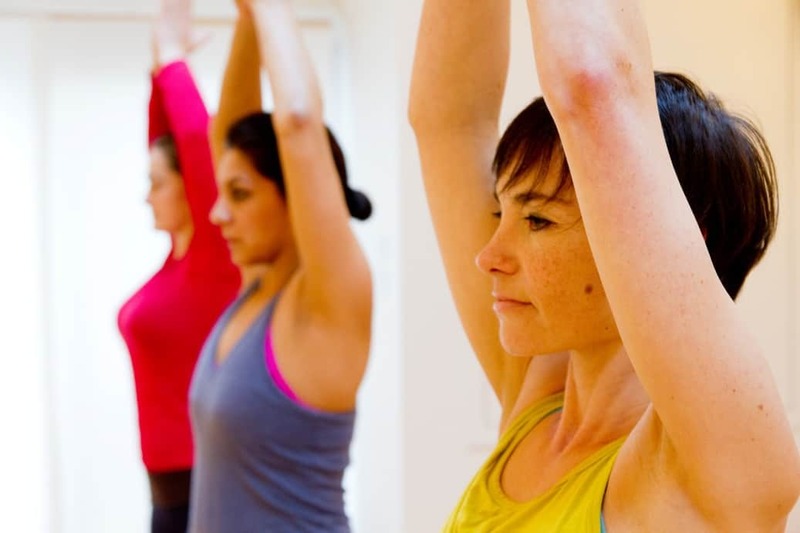 The class is designed to lengthen the entire body whilst focusing on core strengthening and stability, using a series of balanced, choreographed movements. Strech routines and relaxation techniques incorporates aspects of Yoga and Pilatets, to suit all needs and abilities. PureStretch will help improve range of movement, developing core strength, release muscular tension, decrease risk of injury and improve quality of life. The class is choreographed so they are achievable for all levels of fitness and designed to be fun, so bring a smile with you! In this four week Alexander Technique course you will learn about; natural breathing, methods for releasing tensions in the back, neck and shoulders, ways to deal with stress, how to cultivate mindfulness in activity and to find a sense of wellbeing. 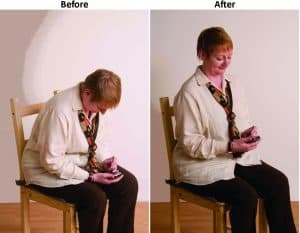 The Alexander Technique can enhance personal performance across the whole spectrum of human activity from sports or artistic performance to managing pain, illness, disability or injury. Whatever your age, ability or state of health, the Technique can help you get stronger, have more stamina, become more relaxed, think more clearly and recover from injury more quickly. You’ll feel younger, lighter, taller, calmer and more confident.